One of the most highly regarded names in ammunition, Winchester has been producing quality, high-performance ammo since 1866. 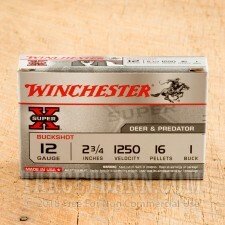 Winchester's Super-X line of shotgun ammunition delivers time-proven dependability, exceptional quality, and consistent performance. 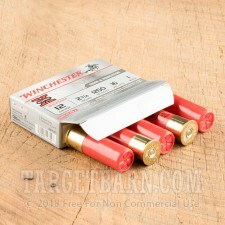 This package contains 250 rounds of Winchester Super-X 12 Gauge ammunition. Each 2 ¾ inch shotshell is loaded with 16 pellets of #1 lead buckshot. 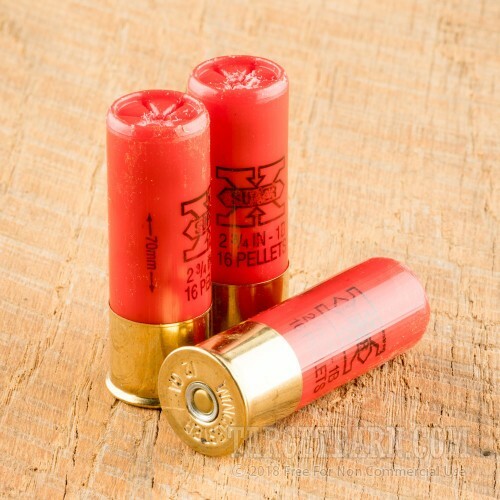 An excellent choice for self-defense, these loads have a high pellet count and deadly terminal ballistics with a reduced risk of over-penetration. 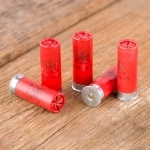 Each round is loaded with a reliable Winchester 209 primers and one-piece hinged wads to produce consistent ignition, good patterning, and manageable recoil. 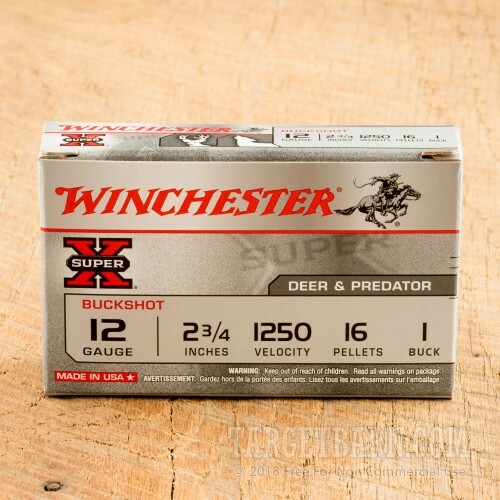 Delivering a consistent muzzle velocity of 1250 feet per second, Winchester Super-X 12 Gauge ammo is appropriate for home defense, animal predators, or whitetail hunting.